Your wedding is a fabulously important moment in your life. Choosing your wedding party is a crucial part of the wedding planning process. After all, you want to make sure your closest friends and relatives are right there, in the spotlight, as you voice out the big “I Do”. Still, this is not always an easy task – and it can even become a daunting and stressful one if not handled correctly. How to do it? 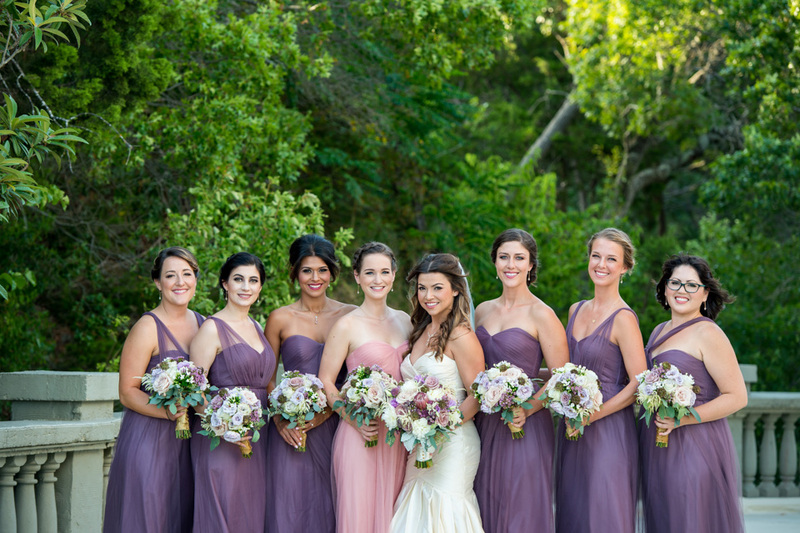 How to choose your bridesmaids and groomsmen the easiest way possible? We have gathered some tips for you – so read on to find out more. Think very carefully about the details before asking anyone. Think of whether or not you are truly close to this person. Also, think of what you expect from them. Bridesmaids and groomsmen who live far from you may not be able to be fully involved in the pre-wedding planning and events. Take your guest headcount into consideration. While there’s no “golden rule” as to how many bridesmaids and groomsmen you have, their numbers should be proportional with your guest count. Brothers and sisters should be included. Sure, you may not be very close with your sister-in-law, but think about it: 10, 20 and even 30 years from now, these siblings will still be part of your life. Chances are you will get closer to them as time goes by, so they should definitely be included in the wedding party. Consider other roles too. If you have friends or family members that weren’t included in the wedding party, but if you want to make them feel special too, think of other roles they can play at your wedding. Ushering grandparents, or your parents, doing a special reading during the ceremony, playing a song during the reception, making a special toast during dinner, be sure to get a special picture with your friend before the wedding starts– there are plenty of other ways to include your special people in the Big Day! Remember, just because a friend isn’t in the wedding party doesn’t mean he or she isn’t a special person in your life. With all the weddings that your friends are a part or and attending, don’t feel pressured to add members to your wedding party just because you “don’t want them to feel bad” . It is an expensive, time-consuming “ask” of your friends. They may appreciate attending the wedding as an honored friend without having to buy a matching dress! At Villa Antonia, every event includes a Venue Coordinating Team. So your wedding party can focus on you and enjoy the event without having to worry about the day of details. Come out to visit us. We would love to show you around!